With tensions in the Middle East escalating daily, the world seems to be on the brink of ruin. For many years, contemporary prophecy writers such as Hal Lindsey, Tim LaHaye, and Mark Hitchcock have been telling us that we are living in the last days--and the Gog and Magog alliance is one sure sign that the rapture and the second coming of Christ are near. However, there is strong biblical evidence that the candidate often identified as Gog, Russia, may not in fact be the candidate that Ezekiel was referring to. Using the Bible as a guide, Christopher M. Jones' new release, Rushing Ahead to Armageddon: Russia, Iran, and the Invasion of Israel ($18.99, paperback, 978-1-61579-796-7), uncovers the identity of this obscure candidate in light of Scripture. "[I hope] to show readers how, time and time again, the outlines and predictions of contemporary prophecy writers have failed when headlines have changed, and how contemporary prophecy writers have changed the identity of Gog in Ezekiel 38 and 39 over time to fit the headlines of the day," the author says. "[My book will] push us away from what has become a very dangerous worldview of prophetic inevitability and to appreciate that there is a sound biblical interpretation to Ezekiel 38 and 39 that is less reliant on conjecture and newspaper exegesis." Jones, a church administrator and part-time preacher, believes his informative book will give readers a new and biblical perspective. By equipping readers to become better interpreters of the Bible--using a proper interpretative methodology--he hopes to challenge conventional thinking about the Gog and Magog prophecy. Xulon Press, a division of Salem Communications, is the world's largest Christian publisher, with more than 7,000 titles published to date. Retailers may order Rushing Ahead to Armageddon through Ingram Book Company and/or Spring Arbor Book Distributors. 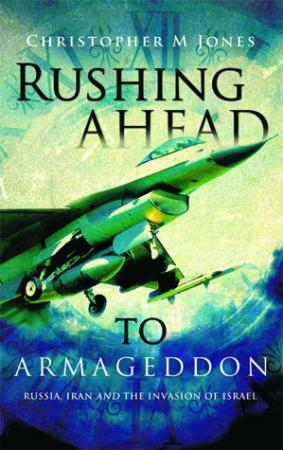 Rushing Ahead to Armageddon is available online through xulonpress.com/bookstore, amazon.com, and barnesandnoble.com.